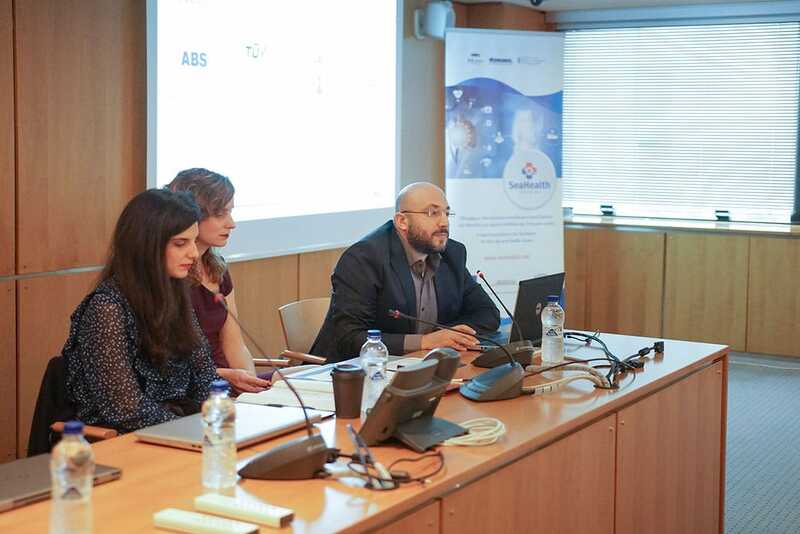 A large number of shipping executives and academics attended the presentation of the research project “SeaHealth” -“Elearning platform for Seafarers for first aid and health issues” organized by SQLearn and DANAOS Management Consultants S.A. in cooperation with National and Kapodistrian University of Athens on October 31st. The attendees had the opportunity to listen to some interesting presentations and have a discussion with the project partners. Within the framework of SeaHealth project, SQLearn, the market leading Greek company that specializes in e-learning, aspires to provide new innovative solutions to improve the level of medical care provided on board. Through the platform developed by SQLearn, there will be the opportunity to record acute medical incidents on board and seafarers’ illnesses to assess them, provide medical advice, find the best possible interventions and enhance prevention. At the same time, with the use of e-learning libraries from Dolphin Platforms of SQLearn, there will be the opportunity of training on health and care issues for seafarers. “SeaHealth is a very important and interesting programme. Our company reached for the maritime sector providing e- learning services four years ago. We were delighted to develop one further service for seafarers, in cooperation with DANAOS Management Consultants and National and Kapodistrian University of Athens. It is a distinct honour that we participate in the Greek shipping miracle.”, said Mr. Spyridon Gkoumas, CEO and Chairman of the Board of Directors of SQLearn. Mr. Antonios Friggas, COO and Vice Chairman of the Board of Directors of SQLearn described the role and the expectations of the cooperation and noticed that SQLearn is going to use its knowhow and expertise in order to develop an e- learning platform that will be able to ensure the seafarers’ health improvement. 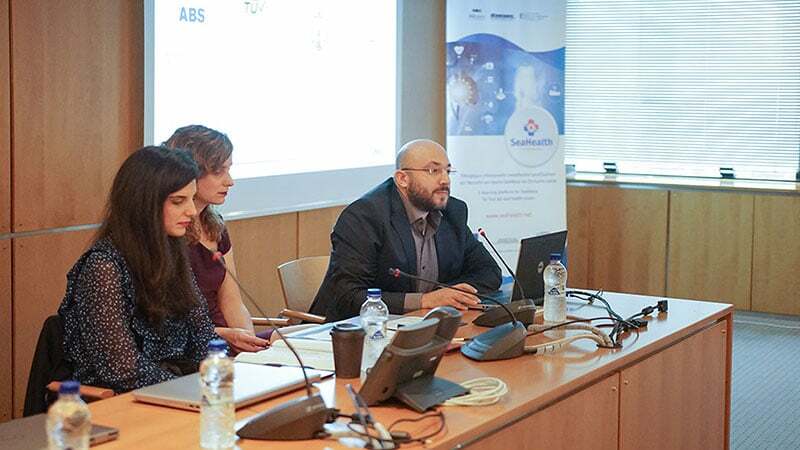 The research project “Elearning platform for Seafarers for first aid and health issues”- SeaHealth (Υγείαενπλω) through the Operational Program Competitiveness, Entrepreneurship and Innovation under the call RESEARCH –CREATE –INNOVATE will be implemented from SQLearn and Danaos Management Consultants in collaboration with the 1st Otolaryngology Clinic of National and Kapodistrian University of Athens (UOA). The recording of acute medical incidents on board and occupational illnesses of seafarers, their evaluation and the search for best possible interventions, improving health services and enhancing prevention. The development of a training platform on health and care issues for seafarers with the use of e-learning libraries from Dolphin Platforms of SQLearn. The training and evaluation from seafarers who will be asked to evaluate the new platform with the aim of its improvement before its placement on the market. The development of a synchronous and asynchronous intervention platform, with image and sound, to transfer as much and more reliable information to medical personnel ashore to provide medical advice. Test the platform on board. The dissemination and commercial exploitation of the platform globally. The project is running from September 2018 to September 2021.